…..and 2017 better be another jump for the Mustangs or Morris is not only going to find himself on the outside looking in at some big job openings that might pop-up come December he might just find himself out of a job at SMU altogether! Considering SMU lost 3 of their last 4 games in 2016 to finish at 5 – 7 including a 75 – 31 whipping by Navy in the last game of the year, it’s going to be critical for Morris to get his SMU team off to a fast start in 2017 because if the Mustangs are any worse 3 – 2 when they play at Houston on October 7 then 2017 could be a long season indeed! ….but to get one of those jobs he will probably need 8 or 9 wins on the board in 2017 and that’s not going to an easy task…but it’s doable…and we see no reason at all that SMU doesn’t win at least 6…make that 7…games in this season. Tony Sanchez was the head coach of California High School in San Ramon, California from 2004 to 2008 so we were aware of Tony before he became famous as the head coach at Bishop Gorman High School in Las Vegas where he posted an 85 – 5 record and 6 state championships in 6 years at the school. 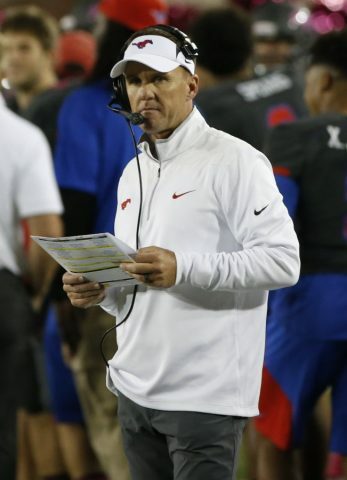 Like a lot of people we had no idea if Tony Sanchez would be able to make the leap to the college game from high school as the head coach at UNLV, and in two seasons on the job coaching the Rebels he has posted records of…. 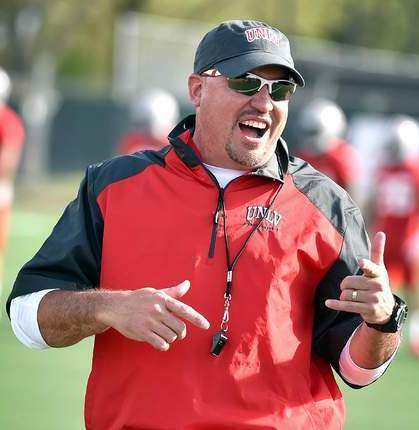 Who are those 7 wins against that Tony Sanchez has on the board at UNLV? 6 Wins+ in 2017 Son! Clearly, something has gone wrong at Utah State with 16 losses the last TWO seasons but what exactly? 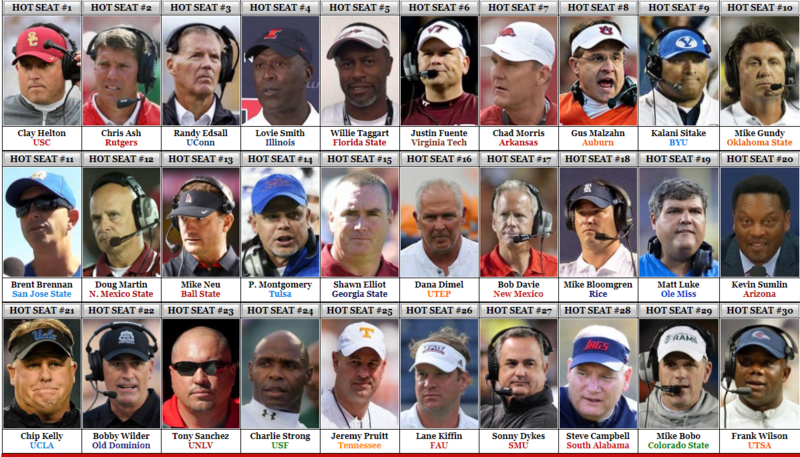 …and no one is going to win many games giving up that number of points to the opposition. 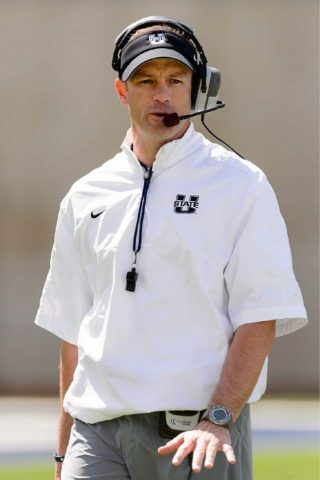 Just what in the Hell is going on at Utah State with Matt Wells?